BRYAN EATON/Staff photo. 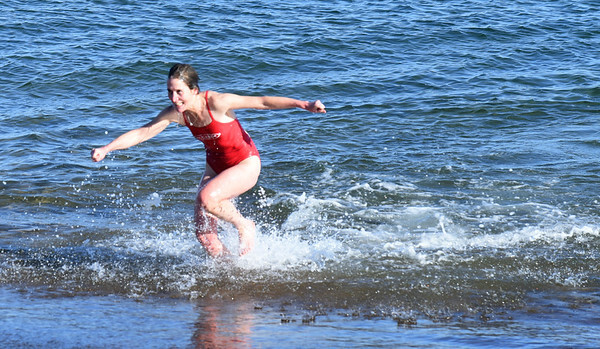 Janet Perkins-Rowland of Durham, N.H. seems elated to jump out of the 44 degree ocean at Salisbury Beach yesterday. She was running in the Winner's Circle Running Club's Hangover Classic, a 5K and 10K race.